Do you like perfection? We Do! 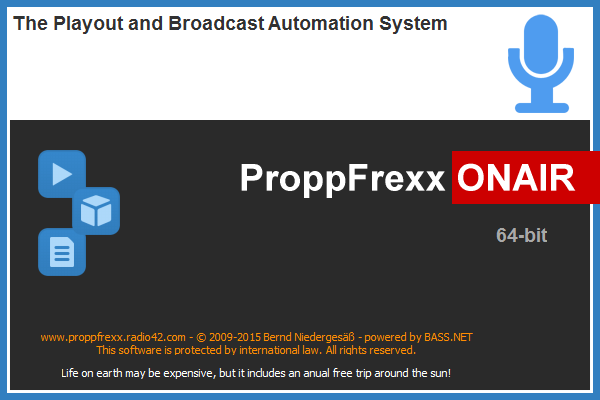 ProppFrexx ONAIR is a comprehensive playout and radio automation software system designed for general On-Air operations (live assist and/or automation), may it be for large terrestrial radio stations or smaller web radio stations, operated live or mostly automated. ProppFrexx ONAIR is designed to serve you with the highest audio quality for real 24 by 7 by 365 operations containing all features needed to support your daily workflow. The flexible mixer and rounting capabilities allows perfect integration without limits. Any number of mixer input and output channels incl. logical sub-groups can be defined. 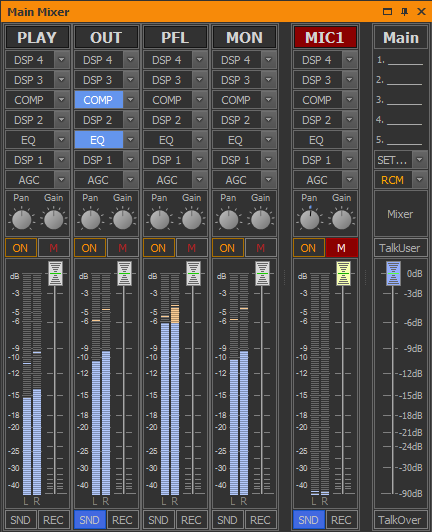 Fast switching between different mixer setups, various DSPs/VSTs and support for almost any soundcard (ASIO, WASAPI or WDM) offer unmatched possibilities. 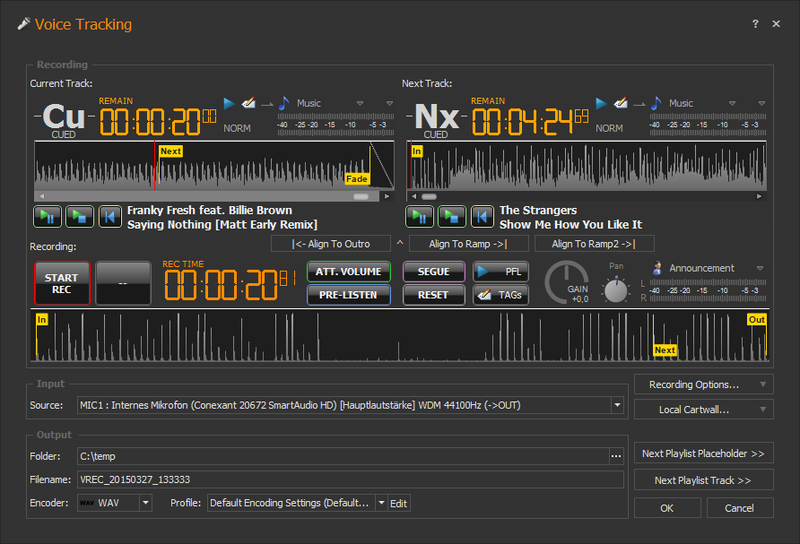 The modern and skinnable user interface makes even more fun to work with and fully support multiple monitors. The individual window panels can be freely arranged, a workspace manager allows instant switching between different layouts which are saved for each user. TouchUI mode is given as well as High DPI is fully supported. Rock solid and highest audio quality supporting almost any audio format with full meta data support. From lossless WAV, BWF/RF64, AIF or FLAC to lossy MP3, AAC/MP4, OGG, WMA or OPUS and even many more formats. Our internal audio processing and mixing ensures highest quality and best output for driving your sound as you expect it. 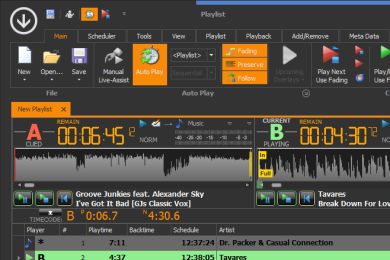 The center of operations are our flexible playlist and playout management windows with each up to 4 DJ Players. 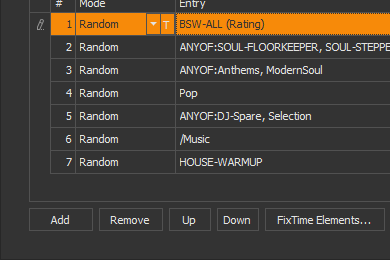 Any number of playlists can be open and managed in parallel and serve your station with audio. 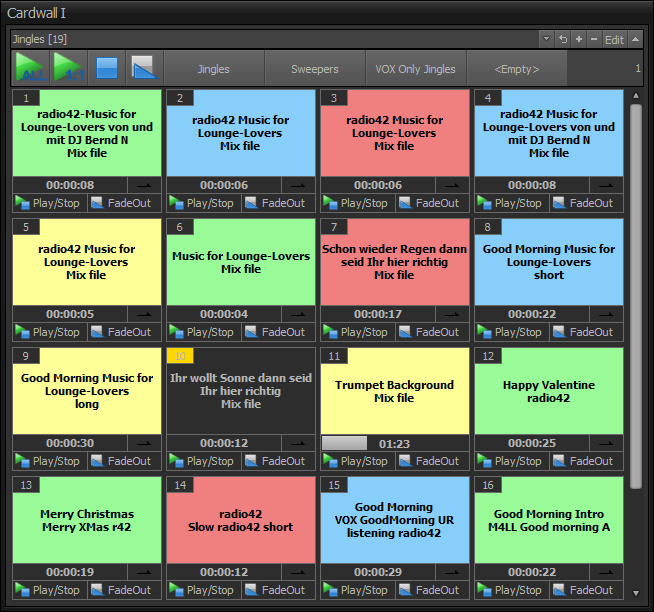 The playout can be fully automated, script-based and scheduled or handled totally manually in live-assist mode. Two independent and outlook-like schedulers (one driving your regular programs and one serving extra overlays) offer maximum flexibility and automation capabilities. No funky coding or programming language needed. A UI driven scripting allows full configuration of your planned hours. From fix time elements, time update syncs, soft, ends-at or hard segues up to conditional rules and remaining time based scheduling. Our fully integrated advertising and news management allows perfect planning and billing of partners and scheduling their campaigns as well as handling multiple regions, any number of news categories. Priorities, brand conflict resolution, automatic slot assignment and distribution, references plus various opener, seperator and closer options ensure your revenue stream. 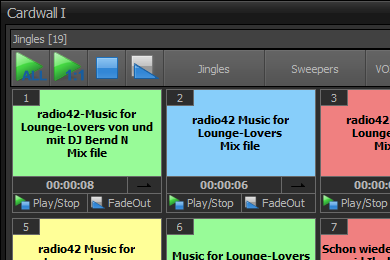 Showing a playing playlist with 3 DJ Players, the OnAir Time and the Mixer window. One of the two available cartwall windows. Instand changes via five toggle buttons, unlimited items, direct, chained, looped or back-to-back playback. Full touch screen support. 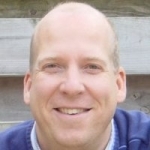 An outlook like scheduler with direct access to your scripts and media libraries. 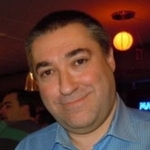 A 2nd independed overlay scheduler can be used for adverts, news, TotH, jingle etc. Quick and direct recording of voice overs between two tracks incl. automatic alignment and segue editing. Pre-Listen to any track at any time and directly adjust any track settings. 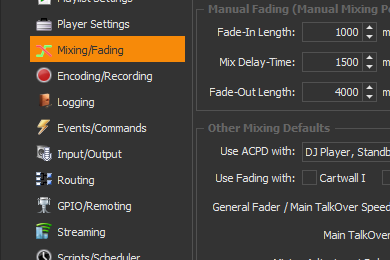 Various general settings does allow you to customize the behaviour of ProppFrexx ONAIR to your needs. The scripting engine is fully UI supported and offers unlimited capabilities, rules, filters and options. The main mixer offers unlimited input and output channels, sub-grouping and flexible routing. 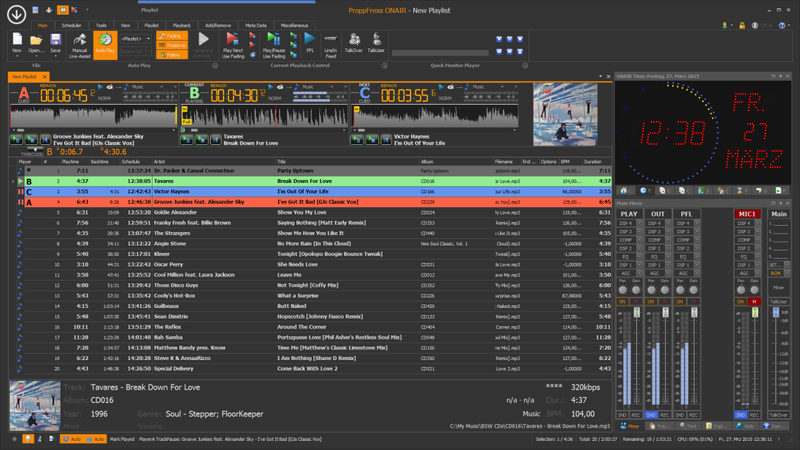 The graphical segue editor allows instant mixing and supports direct track inserts. 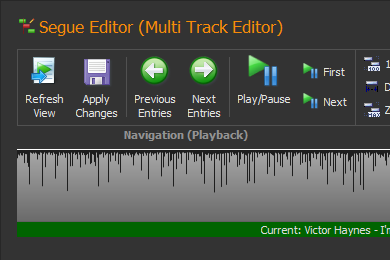 The user interface part of ProppFrexx ONAIR is written in C# (based on the .Net Framework v4.7) whereas the underlying and integrated audio engine is written in C/C++ to guarantee most reliable, glitch free and stable playout, mixing and recording. Direct streaming support included for SHOUTcast v1/v2, ICEcast or Windows Media Encoder as well as in internal shoutcast compatible streaming server. Multiple streaming servers might be used in parallel. Perfect in advance or last minute preparation of playlists require an easy-to-use voice tracking model. This is given, with an extra cartwall, a simple three-state recording button, automatic or manual track alignment and even unlimited track inserts. Remote Voice Tracking from a home location is also fully supported! 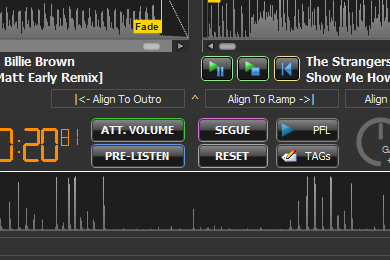 The integrated graphical segue editor makes mixing on-the-fly as simple as drag and drop of WaveForms. 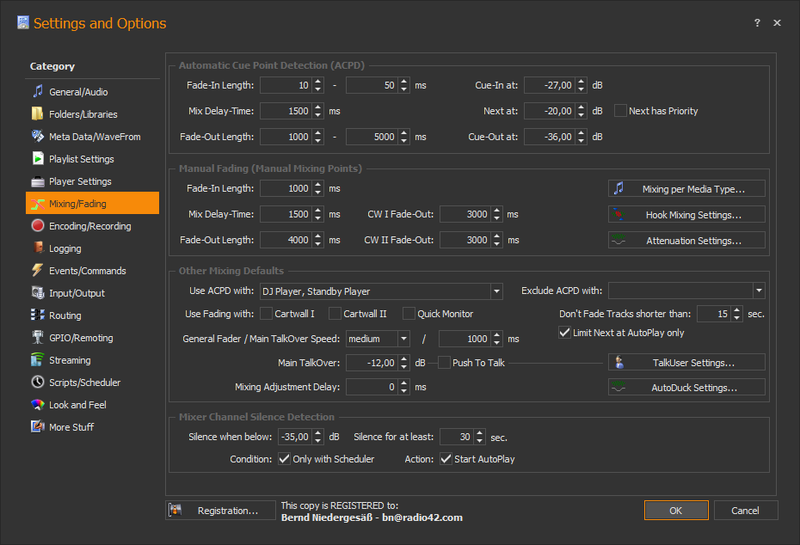 In addition you can use our automatic cue-point detection engine (ACPD) on a per media entry type basis or leverage perfect reply gain calculation. Reporting is not only sending playlist logs to external partners or fulfilling regulations. It also means updating web-sites, streaming servers or other devices, making automatic session recordings for later on-air checks or even re-broadcasting. The extensible GPIO module allows easy integration within your studio environment. The following communication protocols are supported: Ember+, Livewire+, TCP/IP, MIDI, Serial-IO, GamePort, HotKey mapping, Open Sound Control (OSC) as well as contact-closure triggers via Velleman or IO-Warrior. This is the first broadcasting automation software where you feel, that it was made by someone who understands the needs of a radio station. From Germany to Australia, we have some happy clients in many countries around the world. 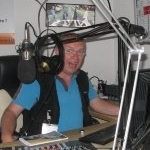 The majority is still within Europe and ranges from enthusiastic hobbyists to local FM stations. Version 3 was build up from the ground, Verison 4 lifts that even higher. Our aim was to deliver a solution which fulfills the following goals: Rock-Solid Operations (24x7), Highest Audio Quality, Total Feature Completeness, Ease-Of-Use. No, we haven't won one yet! We seriously try to invest our money into software for the long term. We also	do not give away our product for free, just to be listed somewhere. And we don't have a sales or marketing organization behind us, we sell by spreading the word. Where does the name ProppFrexx come from? We where sitting together with a couple of friends having a discussion about these fantasy names of new economy companies and who in the world invents all these funny names. After some excellent bottles of red wine one of us said, that may be the most idiotic name would be ProppFrexx. Does ProppFrexx ONAIR run on a Mac/OSX? Not natively, but you might use Bootcamp to directly run Windows natively on your Mac. Or even better, you might use Parallels Desktop for Mac to run ProppFrexx ONAIR on Apple hardware without rebooting side-to-side with your OSX applications! 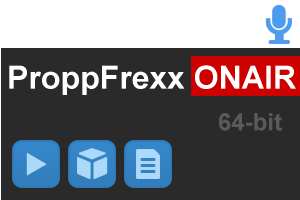 Is ProppFrexx ONAIR available in any other language? No, unfortunately not. The user interface is only available in english (at the moment). The UI might theoretically be translated into any other language, but the effort is not only translating around 10.000 words, but also to align various windows and dialogs to respect differnt word lengths in different languages. The overall effort is estimated for around Euro 7.000 - at the moment I better invest that money into features, as most people can understand english quite well. 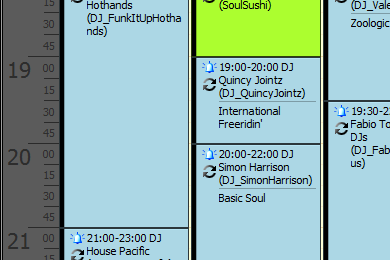 What database system is ProppFrexx ONAIR using? None at all - all configuration is purely file based. And this is a quite a significat difference to many other larger systems. This concept comes with various advantages, e.g. easy of maintenance, ease of portability etc. In addition we don't want to use proprietary and closed formats, but open standards, since we know, that using your data with other systems should easy and not expensive, if impossible. To still serve a client server kind of concept, ProppFrexx comes with some tools, e.g. a central Media Library Server (MLS), which allows central management and storage of your all your audio files. For the rest, all configuration data (files) can simply be kept on a shared/network drive to be accesible by multiple clients. 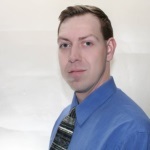 Does ProppFrexx ONAIR support external scheduler systems? 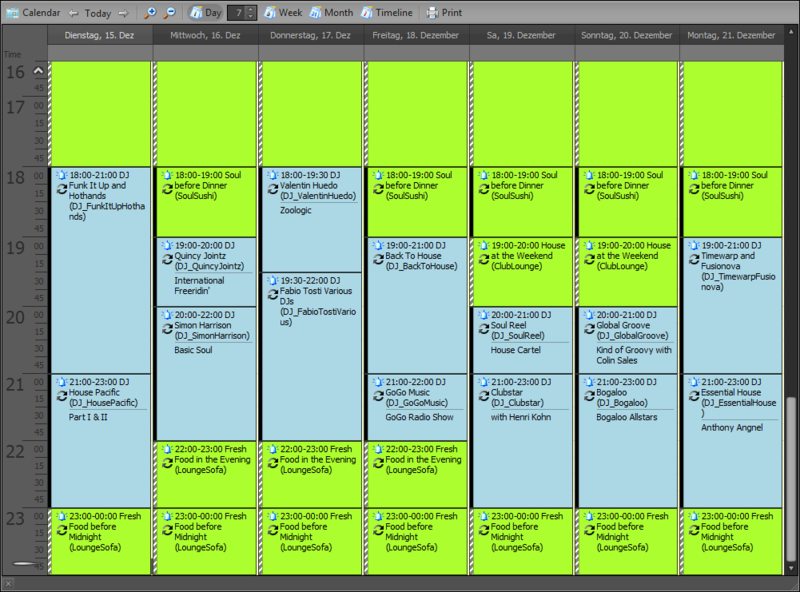 Yes, even if ProppFrexx comes with a complete and very comprehensive build-in scheduler and UI-based script engine. 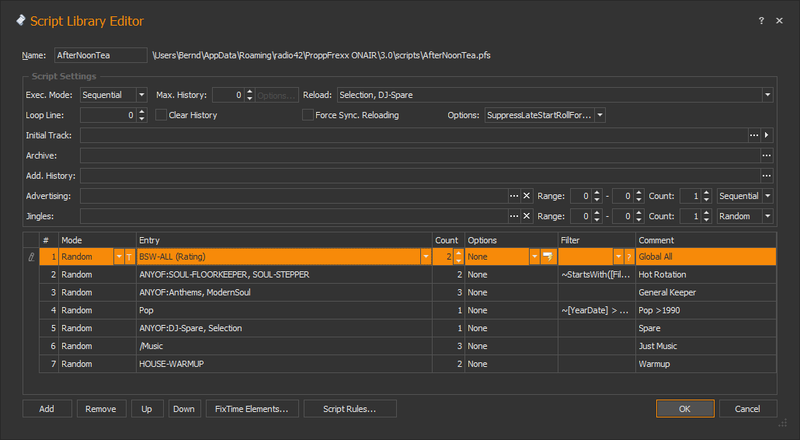 Currently we support all major external schedulers (to be imported into the ProppFrexx scheduler; at least on a simple or extended playlist exchange basis). We have some special import modules for MusicMaster, Music1, PowerGold, MaxRadio, RamComm, Traffic2000 and others. If something is missing or you need something extra, just get in touch with us and we are happy to assist you. 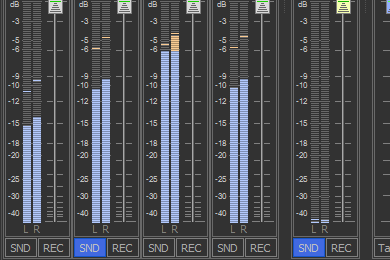 What soundcards, mixers or controllers are supported? We try to avoid recommending any hardware, and we try to avoid using proprietary or closed interfaces. 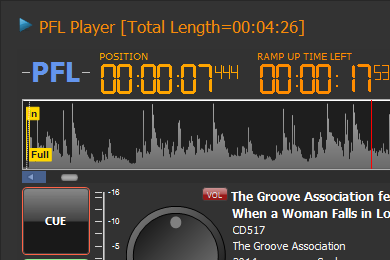 However, you might use almost ANY soundcard with ProppFrexx, which supports DirectSound (WDM) or WASAPI or ASIO. MIDI is a standard; so any controller supporting standard MIDI messages might be configured. OSC is a standard; so we can speak with any device speaking OSC. Any other interface might be implemented on your behalf by extending our new GPIO Client, this can also be done by use, a partner or even yourself, we can provide you with the necessary API! Local partners in your area might help you with special solutions and bundled offering incl. installation, operations and/or maintenance services. Life on earth may be expensive, but it does include an annual free trip around the sun. Want to discuss a project? Need help? Have a question? Read our disclaimer and imprint? 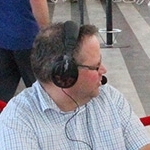 Copyright © 2002-2019 radio42, Bernd Niedergesaess, Germany.